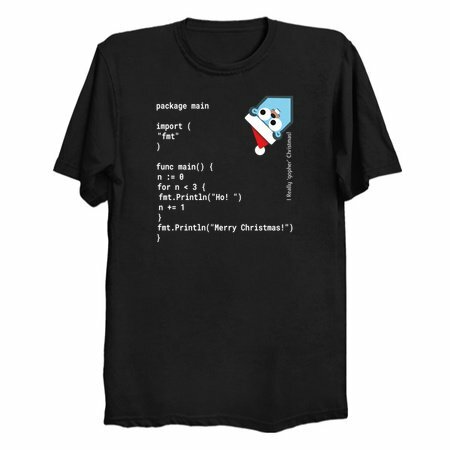 The ideal festive gift for the Go / Golang-loving computer geek in your life. 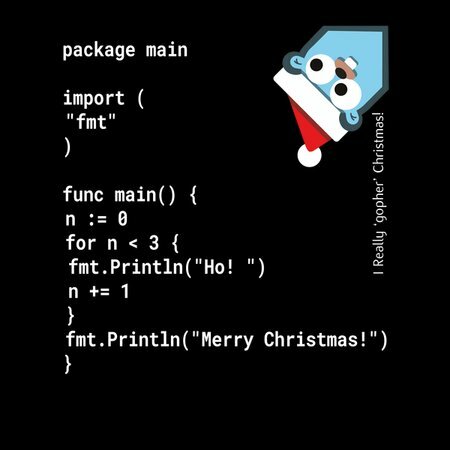 As well as a cute festive Golang Gopher, this design features working Go / Golang code that, if run, would print out a "Ho! Ho! Ho! -Merry Christmas!" yuletide message.